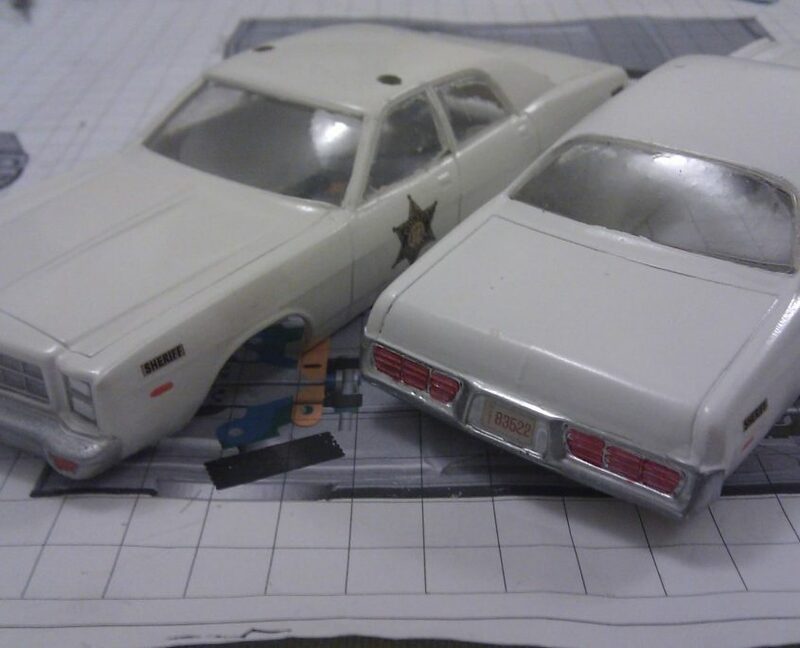 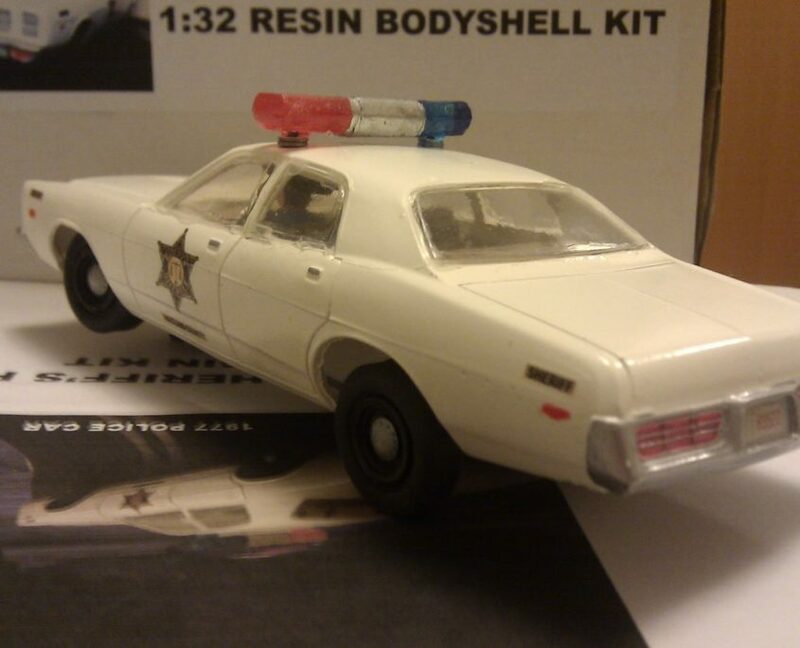 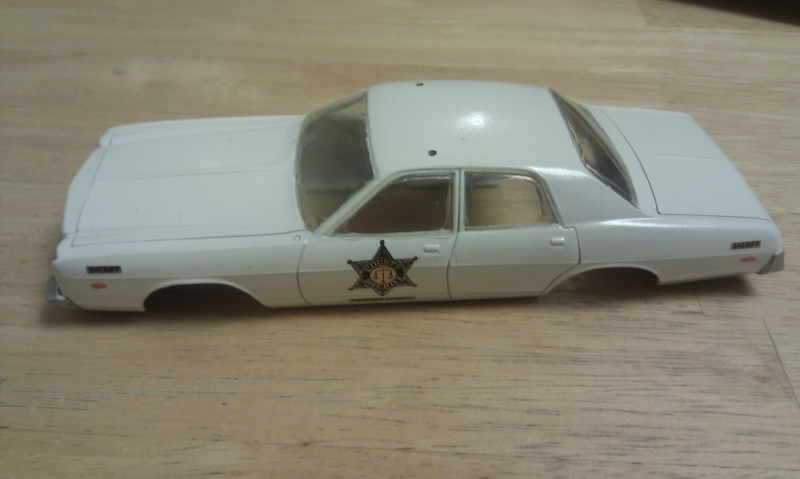 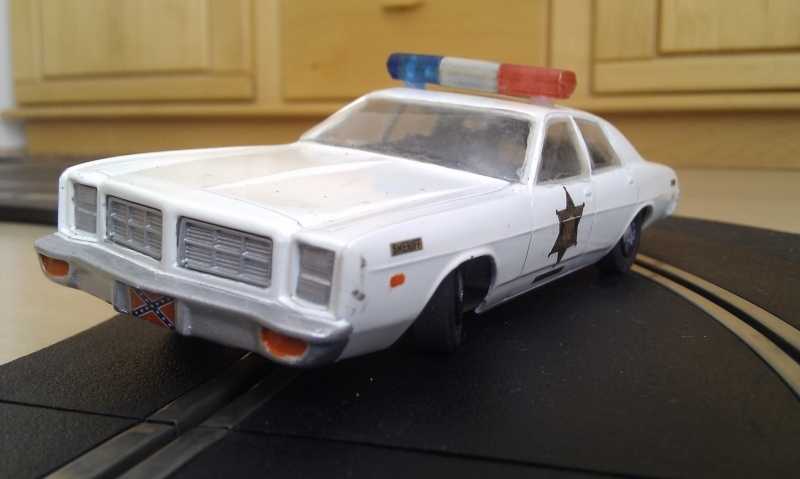 The choice for my first bodyshell was obvious to me, the American police car from TV shows I watched as a kid in the late ’70s and early ’80s. 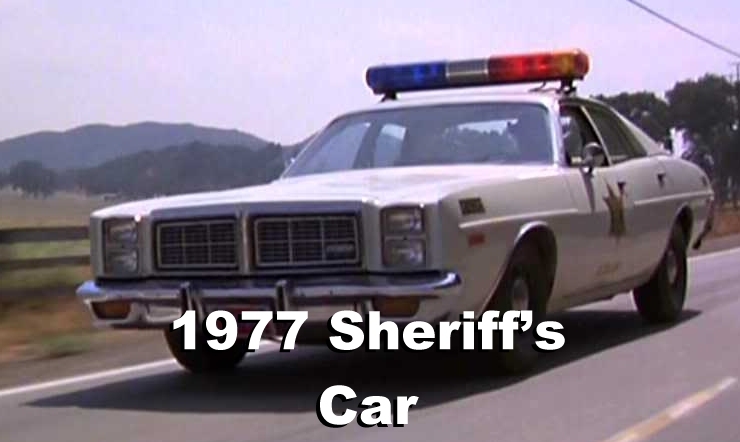 Every episode there was one like this being driven hard through the streets, usually chasing the hero and ending up crashed. 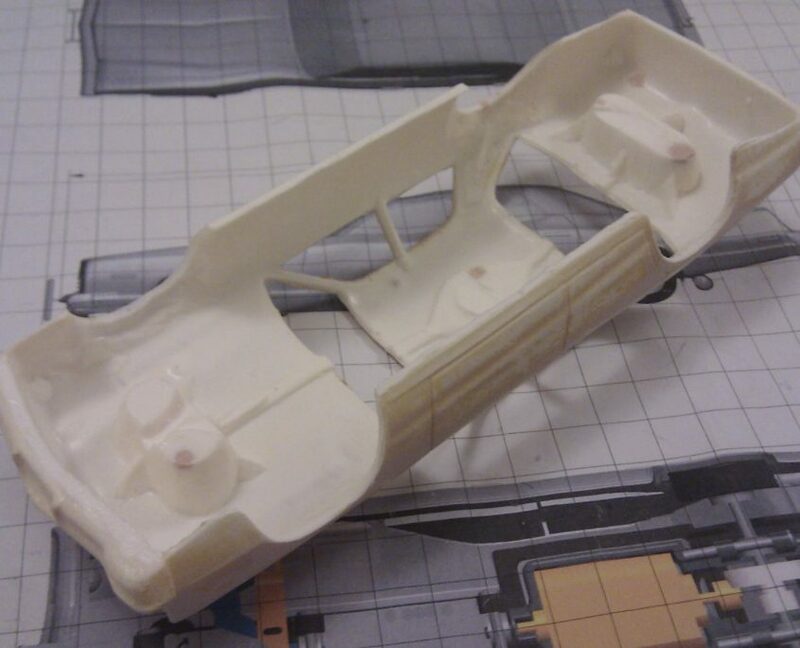 Was it just me who saw the chase and looked for a roll bar inside? 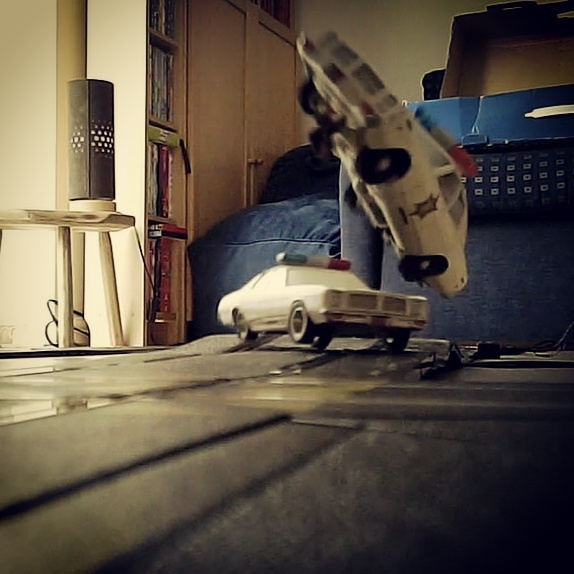 A sure sign the car wouldn’t make it more than a few minutes. 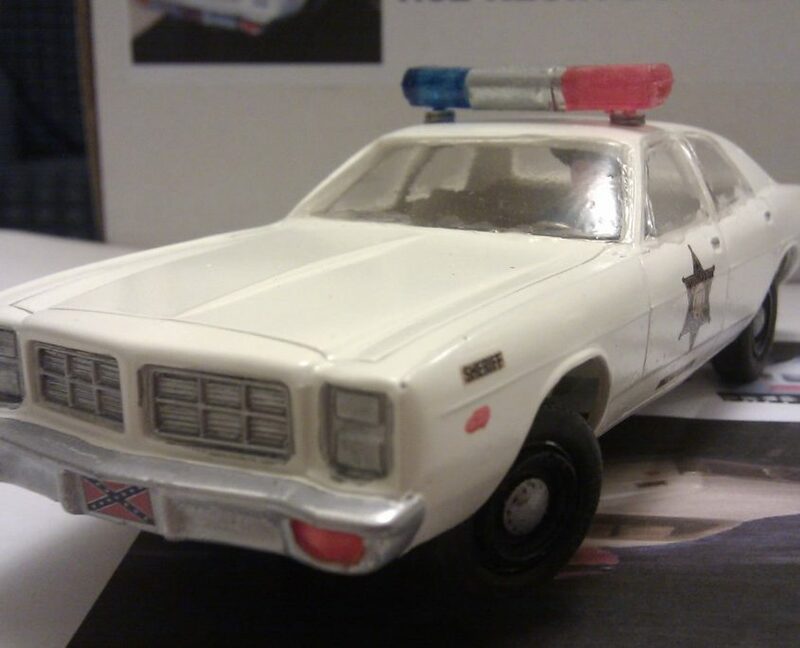 It’s said that in the Dukes of Hazzard, they went through over 300 Dodge Chargers when filming all the series, I wonder how many police cars were destroyed? 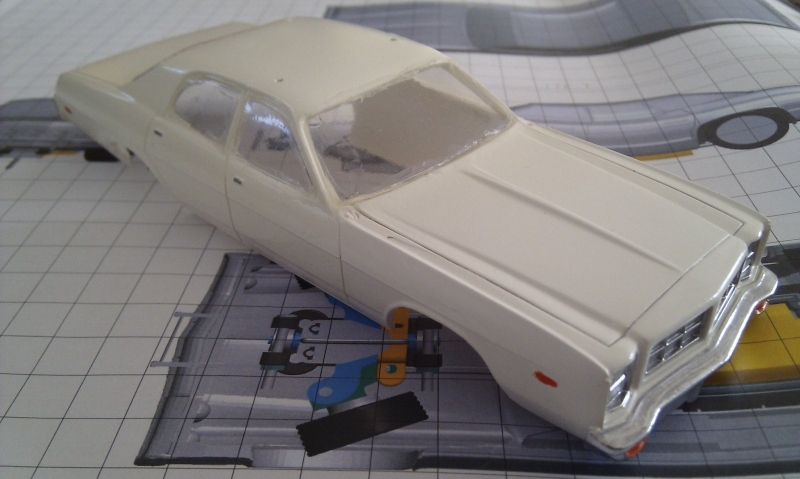 Use orange paint to pick out the side markers and a chrome pen for the radiator grille, door handles and bumpers. 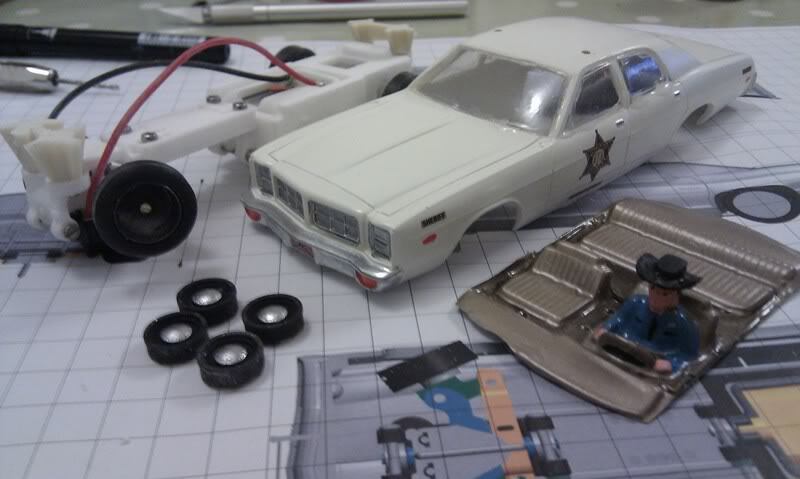 Now you can get after those Duke boys!